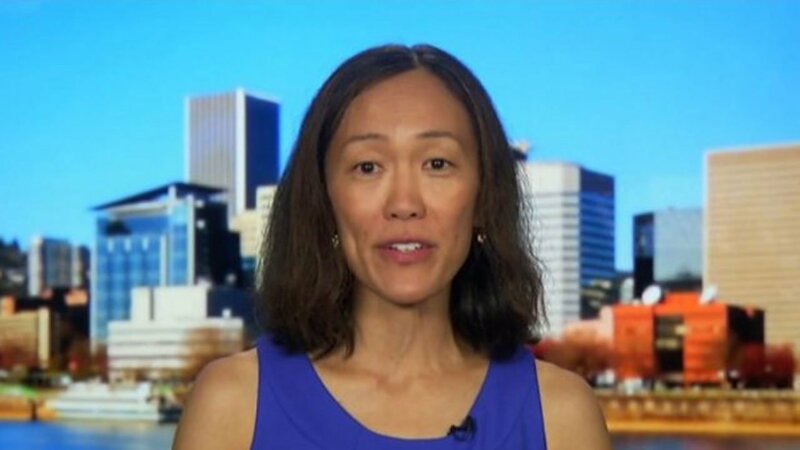 Dr. Esther Choo is an Asian American emergency room physician who has practiced medicine for more than a decade. Yet, she says, a few times a year, a patient will refuse to let her treat them. Solely because of her race. Choo, who works in Oregon, first shared her experience of dealing with racist patients who shun her care in a viral Twitter thread last Sunday. "The conversation usually goes like this. Me: 'I understand your viewpoint. I trained at elite institutions & have been practicing for 15 years. You are welcome to refuse care under my hands, but I feel confident that I am the most qualified to care for you. Especially since the alternative is an intern.' And they invariably pick the intern, as long as they are white. Or they leave," she wrote in successive tweets. "I used to cycle through disbelief, shame, anger. Now I just show compassion and move on," she added. Choo's tweets, in which she noted that there were "a lot of white nationalists in Oregon," came a day after a counterprotester was killed following a violent white nationalist rally in Charlottesville, Virginia. And Choo's experience of intolerance is not unique in the medical community, she told CNN's Christi Paul on Saturday. "What I'm hearing from my colleagues is that this is a daily occurrence for many of them, at least experiences of prejudice. The patient who outright refuses care is less common, but I definitely heard from a lot of people this week that they have also had that exact same experience," she said. Patient prejudice towards doctors is now so common that many medical professionals "consider it a routine part of our jobs," Choo emphasized. "Maybe it's that they're from another country or because of their religious beliefs or their sexual orientation or their gender. But I'm hearing it from a lot of physicians that this is not unusual," she described. Asked by Paul whether she had ever been able to change a patient's mind after they initially refused treatment from her, Choo said that it was rare. "A few times I've been able to talk patients into receiving care from me. Or we can negotiate some sort of compromise where they will be seen by maybe a resident physician who is white, and I'm still guiding care, but I don't actually enter the room," she said. "Usually you cannot. I've found in my experience that you cannot talk people out of their ideology," she added.